The 2014 FA Women’s Super League is underway and Manchester City WFC and England goalkeeper Karen Bardsley is raring to return from injury and join the action, but a touch of reminiscing about sunnier climes has also helped of late. In November last year, the former Lincoln Ladies player, 29, was announced as the second England international to join FA WSL newcomers Man City. Midfielder Jill Scott had joined a week before and two more fellow Lionesses were soon to follow – defender Steph Houghton and striker Toni Duggan. City’s recruitment quickly caught the eye and there have been a number of other acquisitions to bolster their ranks. Karen has had to contend with taking a step back before she can properly throw herself into this new chapter as a stress fracture in her foot has sidelined her. The injury meant she missed out on making Mark Sampson’s England squad for the Cyprus Cup in March, although she did play in La Manga in the January friendly draw with Norway. This spell out of action has allowed plenty of opportunity for reflection for Karen. It has also been a time in which the Chino Hills-raised ex-Pali Blues keeper has been thinking back to where it all started and somewhere she loves. “I feel pretty good. I’m a bit impatient, I’ve been out for a while and although that’s not fun there’s so much you can take from that. 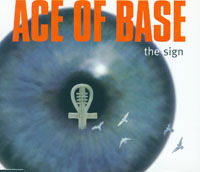 Music holds the key to connecting with various feelings for the former Ajax America Women youngster and she gives a glimpse of just how broad the spectrum is for her. “I like pretty much everything, depending on different moods. It’s such a random mix: Bob Marley, The Beach Boys, Chromeo. The last act Karen mentioned there was formed in California but is actually led by Dubliner Dave King. Flogging Molly’s sound can be considered folk rock and they probably haven’t made it onto too many teams’ changing room playlists in England! ‘KB’ talks about two other genres, one which has crept up on her and another that you generally won’t find her learning the lyrics to. “I never thought I’d like country but it has started to grow on me. My friend played ‘Red Solo Cup’ by Toby Keith at Christmas when we were having breakfast and I remember asking ‘what’s that?!’. Despite growing up in America, Karen’s parents are from the North West of England and her upbringing very much stayed true to that. Having represented England at Under-19 and Under-21 level, she got her first chance in the senior side against Northern Ireland in the 2005 Algarve Cup. With the established Rachel Brown-Finnis in the team it took a number of years before regular opportunities came Karen’s way for the Lionesses. She was part of the Euro 2009 squad before becoming first choice at the 2011 World Cup and Euro 2013. She has won 35 caps to date and was also in goal for each of Great Britain’s matches at the 2012 London Olympics, including the 1-0 win over Brazil at Wembley in front of 70,584. Arsenal full-back Alex Scott talked all about music on here in February and she has the job of national team DJ all but sewn up by now. Karen offers some more insight into the music served up on teams she has been part of, including the Lionesses, Sky Blue FC back in Women’s Professional Soccer, and also Linköpings in Sweden. “A lot of it in Sweden tends to be house. Alex Scott plays a good mix, mostly stuff from the charts and Candi Staton is one who gets played. “It sounds a bit cheesy but I have always had speakers with me wherever I’ve gone. I hate telling people what to listen to; my taste isn’t exactly mainstream so I usually end up playing bubblegum pop, just because I think it’s really funny. “I love the weirdest stuff. I’ll try to be funny and it will usually end up getting taken completely the wrong way! “In the States, there was a lot more rap in the locker room, at Sky Blue for example. They played older music too, like Michael Jackson and others that everyone knew, but they were all really active players and all wanted to get up and dance. “Tasha Kai at Sky Blue used to love being the DJ. Heather O’Reilly, when we were in Atlanta (with Sky Blue) did this rap that was certainly interesting! “Casey Nogueira (now Casey Loyd), also at Sky Blue, she had a lot of interesting music. Nilla Fischer too (at Linköpings), and Jill Scott always plays music at the back of the bus. As revealed on here in the past, the track Boston Breakers midfielder and three-time Olympic Gold medallist Heather O’Reilly has a liking for performing is Eminem’s ‘Lose Yourself’. That one is very fitting for sparking motivation before a game but the same probably can’t be said for the first record Karen ever bought! England’s qualifying campaign for next year’s World Cup in Canada has gone according to plan so far with five wins from five games including the 9-0 thrashing of Montenegro earlier this month. In the last World Cup, the Lionesses reached the quarter-final before losing to France on penalties. Karen saved Lyon midfielder Camille Abily’s spot kick at the beginning but it wasn’t to be when the shootout reached its conclusion. England may not have even made it to the last eight if it hadn’t been for Jess Clarke’s 81st-minute winner against New Zealand in Dresden in the second group game. The Notts County Ladies midfielder is also talented on the vocals and while Karen concurs with that she picks out a couple of others in the team who fancy themselves in this sense! As those who have had the pleasure of working alongside her will confirm, Karen knows how to raise a smile from people and she makes the game that bit more fun. While with Sky Blue FC she was selected on Brazilian legend Marta’s team for the 2010 WPS All-Star Game. Also in the five-time FIFA World Player of the Year’s selection were England teammates Kelly Smith and Alex Scott. Marta’s XI beat USWNT idol and all-time international top scorer Abby Wambach’s XI 5-2. In addition to winning plaudits for her goalkeeping, Karen also had a go at writing songs for Sky Blue fans. If she was to switch careers and set about recording a cover version of a song with one or more of her career teammates, here’s who would get the call to join her and the track that would be chosen. “I think it would be funny to do a really random one. The first thing I can think of is singing Tom Jones, but no one would do it with me! Manchester City WFC made headlines last year when they were awarded a place in the top flight of the restructured two-tier FA Women’s Super League. New Zealand midfielder Betsy Hassett was another of the new signings brought in for example and Nick Cushing’s team began their league season away to champions Liverpool Ladies last Thursday (April 17th). City were beaten 1-0 by the Reds and their home opener on Sunday (April 20th) against last year’s runners-up Bristol Academy ended in a 2-0 defeat. Despite some of the high-profile names in the squad, the Sky Blues are very much a work in progress but they are at least through to the last eight of the FA Women’s Cup, where they will take on Chelsea Ladies at home on Sunday May 11th. 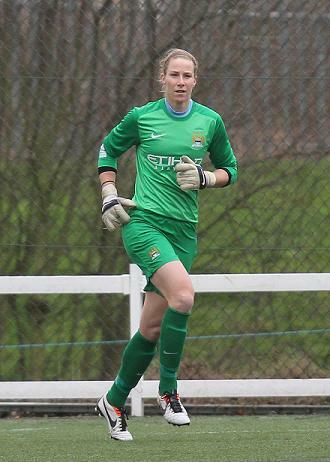 Andrea Worrall has started the season in goal for City and she is someone Karen has a good rapport with. KB signed for the club on a two-year contract and while she edges further towards a full return she has been enjoying all that she has had to take in on and off the pitch. “I love Manchester in general; there’s so much to do. We train every day and I’m practically in the city every day too so it’s good to have a minute to grab a coffee. “The club are brilliant in promoting what we want to do. It’s a brand new group and a chance to set some foundations. Beginning her love of the game by playing at the age of five, Karen did not start to become a keeper until she was ten. With a career that has so far seen her feature at the Olympics, the World Cup, European Championships and at club level in the US, Sweden and England, she has much to now draw upon. When exploring what she feels the sport has taught her she went back to a talk given by a certain ex-US midfielder who won a magnificent 271 caps for her country before retirement in 2004. “You get to know so many players and what makes them tick. A lot of it is about just enjoying experiences and situations you find yourself in. “Just before the WPS was being set up in 2009, they had a kind of talent thing that they call a combine and one of the speakers was Julie Foudy. She told us that pressure is a privilege and not everyone gets to experience it like we do. Although she once wanted to be a professional whale trainer, a good part of Karen’s passion outside of football lies in graphic design. She is a California State University, Fullerton graduate and her liking for drawing provides ample opportunity to throw on some music. “I love art and just that whole creative process. There’s so much interesting stuff that comes from being with like-minded people so since graduating I have missed that process of creating something unique. Before the time comes to call it a day on the playing side, there is surely so much more to enjoy for Karen. 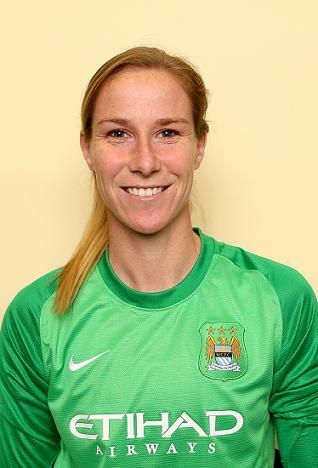 Although she has been immersed in Manchester City WFC since joining the team, this adventure has yet to truly unfold. Ahead of her return to action, let’s get the inside track on some of the most outstanding players Karen has worked with. Selecting from the best she has played alongside in her career so far, these are the four outfielders she would have in a 5-a-side line-up in front of herself. “Probably Steph (Houghton) in defence because she’s got an insatiable desire to win. She needs to win and I love that competitive nature. “I do love Ellen (White) to bits. She works to make things happen and because of that she will always score goals. “Lianne Sanderson would be in there, no doubt about it. Li’s absolutely brilliant with her feet and she’s very talented with an enthusiasm and will to score goals. “She’s also all about enjoying herself and that would be great for my team environment. I’ll round it off with Neetz (Anita Asante).